Genesis started life as a progressive rock band, in the manner of Yes and King Crimson, before a series of membership changes brought about a transformation in their sound, into one of the most successful pop/rock bands of the 1980s and 1990s. 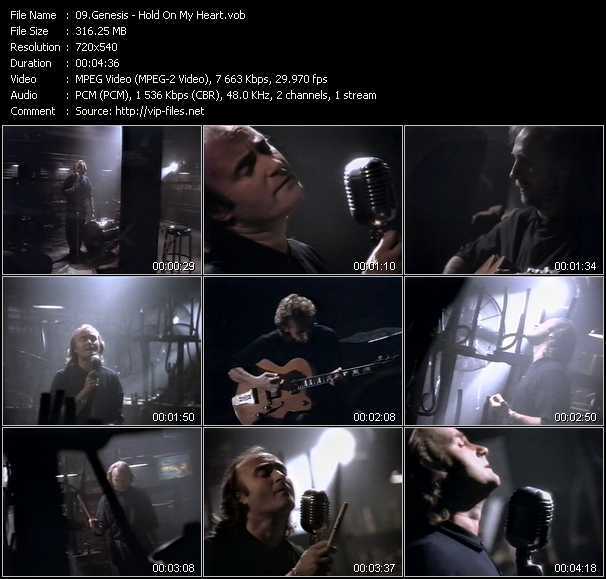 In addition, the group has provided a launching pad for the superstardom of members Peter Gabriel and Phil Collins, and star solo careers for members Tony Banks, Michael Rutherford, and Steve Hackett. Their roots go back to 1965 and a pair of rival groups, the Garden Wall and the Anon, formed by students at the Charterhouse School in Godalming, Surrey. They merged, with the result that 15-year-olds Peter Gabriel, Tony Banks, and Michael Rutherford joined with 14-year-old Anthony Phillips, calling themselves the New Anon and recording a six-song demo featuring songs primarily written by Rutherford and Phillips. Charterhouse alumnus, recording artist, and producer Jonathan King heard the tape and arranged for the group to continue working in the studio, and it was also King who renamed the band Genesis. In December of 1967 they cut their debut single, "The Silent Sun," a very deliberate Bee Gees-style pastiche ( it was released in February of 1968 without attracting much notice from the public, and a second single, "A Winter's Tale," followed with similar neglect. They also ran through a couple of drummers during this period, Chris Stewart and John Silver. At this time, the group's music was a form of lyrical folk-based progressive pop, built on lush melodies primarily carried on acoustic guitar and piano, with lyrics that tended toward the florid and trippy ) psychedelia was in vogue, and Genesis showed an exceptional facility with poetic content as well as gorgeous melodies. Their debut album, From Genesis to Revelation ( which the group has all but disowned in the decades since ) was released in March of 1969, and passed without too much notice from the music press or the public. The members began thinking about getting on with their lives outside of music, and especially attending college. But they felt strongly enough about their work to try making it as a professional band. The re-formed in 1969 and got their first paying gig in September of that year, and spent the next several months working out new material, with new drummer John Mayhew aboard. Genesis soon became one of the first groups signed to the fledgling Charisma label, founded by Tony Stratton-Smith, and they recorded their second album, Trespass. That record, released in October of 1970, showed the first signs of the band that Genesis would become. The music was still folk-based, some of the songs couldn't quite carry their length, and they had some way to go in terms of vocal and instrumental finesse, but it had reach if not grasp ( most of the album was comprised of extended pieces, sung with dramatic intensity, and with complex parts for all of the instruments. Genesis then lost two members. Mayhew left over the unhappiness with aspects of his playing, and was replaced by Phil Collins, a former child actor turned drummer who had previously played with Flaming Youth ) he also added an occasional additional lead vocal to their sound. Much more unsettling was the departure of guitarist Anthony Phillips, who had developed crippling stage fright. For some time afterward, Genesis worked as a four-piece with the guitar parts covered by Banks' keyboards. Finally, just prior to Genesis beginning work on their next album, their lineup was completed with the addition of guitarist Steve Hackett, a former member of Quiet World. The band's next album, Nursery Cryme, was recorded so close to his arrival that Hackett played on it, but some of the guitar parts were written and played by Michael Rutherford, while the centerpiece of the new album, "The Musical Box," used material that Phillips had composed.There was hardly a weak moment on the record, and the music was far more exciting ( and witty ) than most of the progressive rock of the period. The heart of the record was "The Musical Box," a song telling a Victorian-era story of children, murder, and ghostly apparitions that was worthy of the classic horror film Dead of Night. And while it might not have become a pop culture phenomenon, the album and the song did find an audience among collegiate listeners. The theatrical attributes of Gabriel's singing fit in well with the group's live performances during this period as he began to make ever more extensive use of masks, makeup, and props in concert, telling the framing stories in order to set up their increasingly complicated songs. Part of the reason for the stories was practical ( it gave the others, especially Hackett, a chance to retune their instruments. When presented amid the group's very strong playing, this aspect of Gabriel's work turned Genesis' performances into multimedia events. And word soon began to spread about Genesis being an act that was worth hearing and, even more so, worth seeing in concert. Foxtrot, issued in the fall of 1972, was the flash point in Genesis' history. The writing, especially on "Supper's Ready" ) a conceptual piece taking up an entire side of the LP ( was as sophisticated as anything in progressive rock, and the lyrics were complex and clever, but the record was never boring, or even less than bracing. It became their first to chart in England, reaching number 12. Genesis' live performances by now were practically legend. Rock music had always contained a theatrical element, which had reached new levels in the late '60s. But Peter Gabriel, with his growing array of costume changes and acting out of roles, far transcended anything seen on a rock stage ) it was true rock theater, and an intense listening experience. In early 1973, the band allowed a group of performances to be taped for American radio, and with a live tape on hand and a gap to fill between studio albums, Stratton-Smith convinced the band to let him issue that same performance, in edited form, as the group's first concert album. 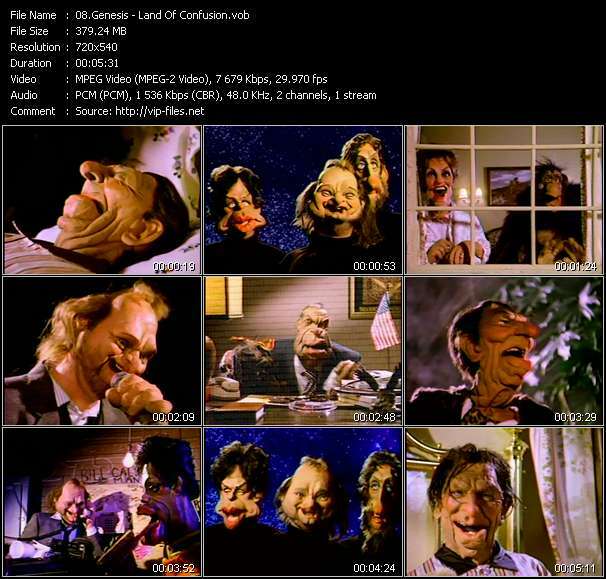 Genesis Live featured songs from across three of their albums, including "The Knife," "The Musical Box," and "Watcher of the Skies," presented in their most recent and dramatic incarnations. The group's next release, Selling England by the Pound (1973), was also their biggest seller to date, reaching number three in England and number 70 in America. They were still a cult band in the United States, but thanks to a lot more FM radio play, their music was getting heard beyond the ranks of the cultists, and finding new listeners by the thousands, especially on college campuses. The release in late 1974 of The Lamb Lies Down on Broadway also marked the culmination of the group's early history. A concept album with a very involved story and a large cast of characters, its composition had been difficult, involving a story outlined and written (along with most of the lyrics) exclusively by Gabriel. A creative split developed between him and the others, however, and the division grew worse during the tour that followed. In May of 1975, Gabriel announced that he was leaving Genesis, at what seemed the very moment of their commercial breakthrough. The Lamb Lies Down on Broadway had been a breakthrough as well, played heavily on progressive FM stations and selling in far greater numbers than anyone expected of a double LP by this group ( it just missed the Top 40 in the United States, while in England it got to number ten. 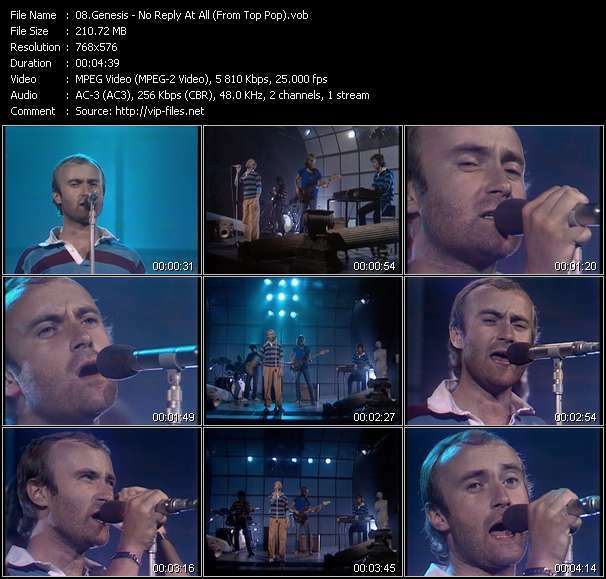 The group tried auditioning potential replacements, but it became clear that the remaining members all preferred that Phil Collins ) who had provided some vocals on the group's three prior albums ( take over as lead singer. Genesis returned to the studio as a quartet in October of 1975 to work on their new album, and the resulting Trick of the Tail was not a huge departure from their earlier work ) there were still musically challenging progressive songs on the album. The latter were reined in a bit, however, and there was some effort to make the album and the music as accessible as possible. And it worked, the album reaching number three in England and number 31 in America, their best chart showing up to that time. Their 1977 album Wind & Wuthering contained a genuinely appealing pop song, "Your Own Special Way," which helped to loft it to number three in the U.K. and number 26 in the United States. Soon after, Hackett announced that he, too, was leaving ( he was replaced on subsequent concert tours by Daryl Stuermer, but there was no permanent replacement in the studio; instead, Rutherford played all of the guitar parts on their subsequent recordings. In 1978, Genesis released the appropriately titled And Then There Were Three ) with sales driven by the hit single "Follow You, Follow Me," the album got the group its first gold record award. 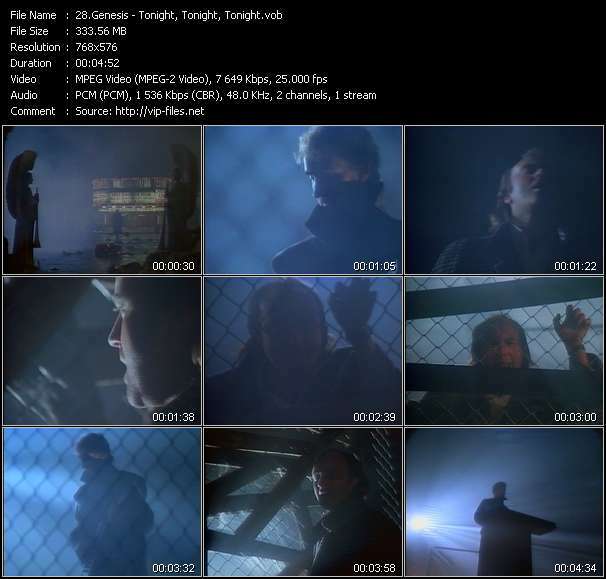 By this time, the group had become a pure pop outfit, and its subsequent albums Duke (1980) and Abacab (1981) both topped the charts in England while brushing near or reaching the Top Ten in America. In 1983, the band regrouped for the self-titled Genesis, which furthered the group's record of British chart-toppers and American Top Ten hits, becoming their second million-selling U.S. album. 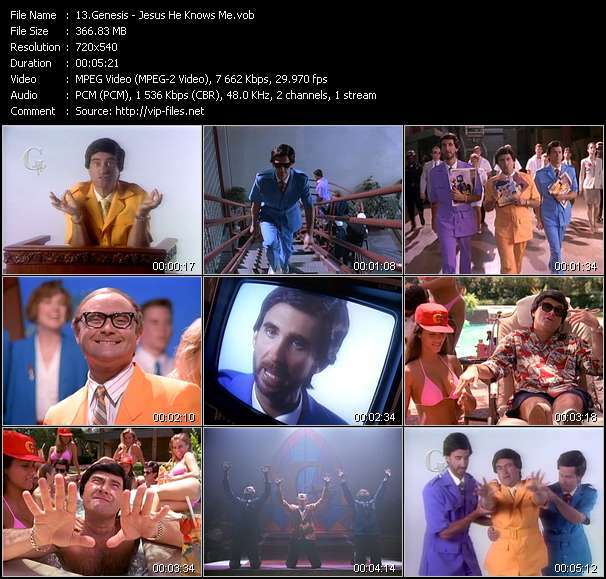 Two years later, the group outdid itself with the release of its most commercially successful album to date, Invisible Touch, which ( driven by a quintet of Top Ten U.S. singles, including a number one chart placement for the title song ) went platinum several times over in America. It was seven years before the band released its next album, We Can't Dance, which debuted at number one in England and got to number four in America. During that time off, each of the members had done extensive solo work, and Collins had already become a superstar in his own right. We Can't Dance was Collins' last album with the group, and with him they also lost Chester Thompson and Daryl Stuermer from the touring band. Calling All Stations (1997), featuring new vocalist Ray Wilson, seemed to please neither critics nor fans, and Wilson left the group at the conclusion of the accompanying tour. The group was on hiatus for most of the next decade, which saw the release of a pair of box sets, Genesis Archives, Vol. 1 and Genesis Archives, Vol. 2, covering the Gabriel and Collins eras, respectively. Banks, Rutherford, Hackett, Collins, and Gabriel regrouped for a one-off re-recording of "The Carpet Crawlers" for inclusion on the compilation Turn It on Again: The Hits. Genesis were hardly heard from except in an archival capacity for most of the first decade of the 21st century. A 2007 reunion tour featuring Collins, Banks, and Rutherford got decidedly mixed critical reviews, and yielded a lackluster live CD/DVD set. But it coincided with a wave of upgraded, double-disc reissues of most of Genesis' catalog and a quartet of box sets covering their history from Trespass forward ( including a complete issue of a legendary 1973 Rainbow Theatre performance ) which have rendered them among the most thoroughly documented groups of their generation.